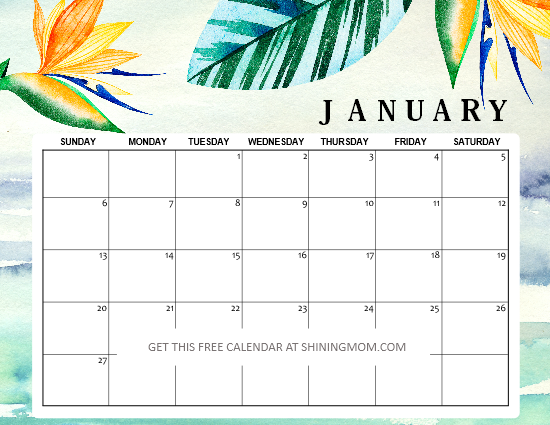 Welcome the new year with clear plans using our January 2019 printable calendar planners. Choose from the 15 fresh designs that we are sharing away, all for free! Now is the perfect time to plan the month ahead. 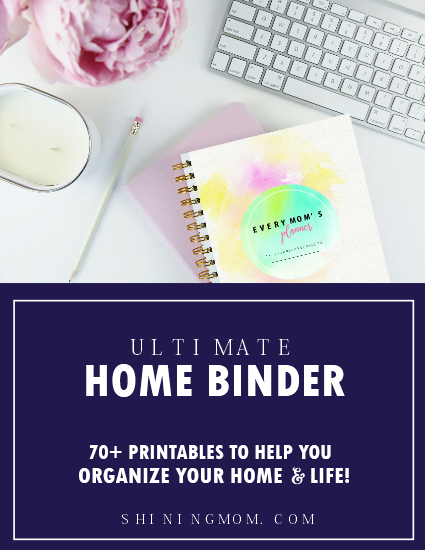 These calendars are your organizing must-haves! Hello, friends! 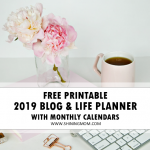 Today, I am So incredibly excited to release another set of January 2019 printable calendar planners. 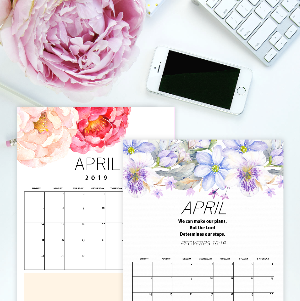 If you’re looking for cute, minimalist, floral or dainty calendars to organize your plans for the first month of the year, I got you covered. Keep scrolling to take your pick! The following calendars are ALL beautiful. I am pretty sure they are going to be useful for you! 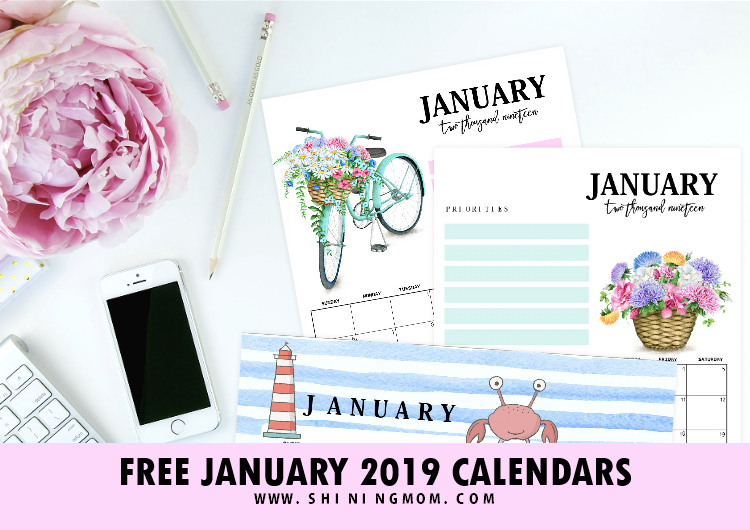 January 2019 Printable Calendar: 15 Fresh Designs! There’s something about monthly calendars that makes me a little giddy. For some reason, when I am able to organize my schedule on my calendar, I feel like I can accomplish almost anything! I just love to use my calendars to plan things out and to organize my thoughts. How about you? 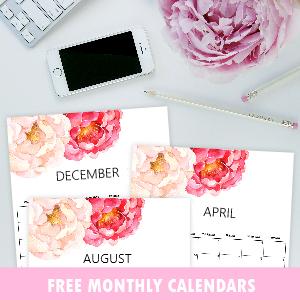 My love for calendars is the very reason why I love creating and sharing printable copies for everyone to enjoy. 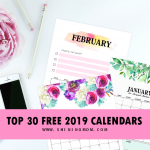 Are you a calendar lover just like me? You’re in for an awesome treat today. Let’s get ahead of ourselves with these freshly designed January 2019 printable calendar planners. Join me in this quick “calendar tour” and together, let’s decide which ones are our favorites. This is going to be fun! 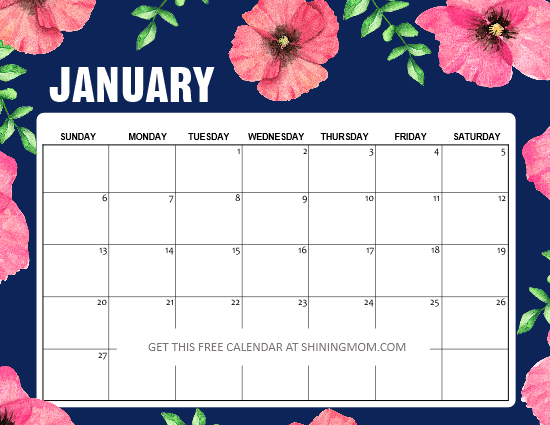 Let’s get started with the floral January calendars that I have for you. I have added handpainted elements from DesignCuts and Creative Market in designing these calendars. They’re all oh-so-gorgeous. You are going to love them! I am starting off with this tropical-themed calendar design. 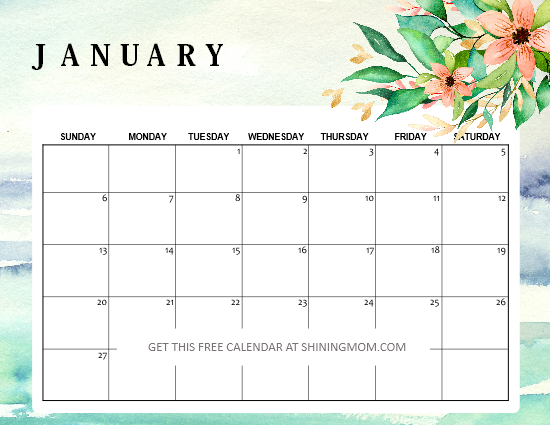 This particular January 2019 calendar printable comes out really elegant and charming. I mean, look at those handpainted leaves and bird of paradise. Ahh, so lovely! 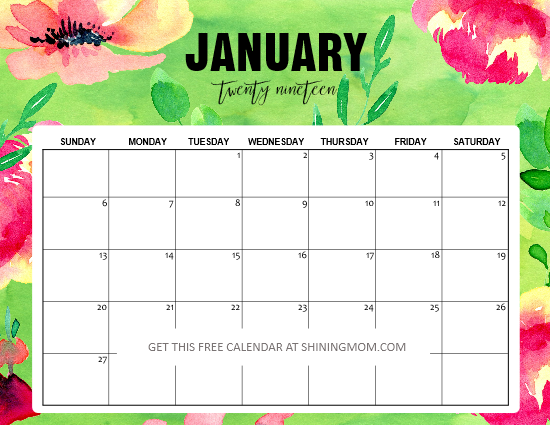 The second January 2019 printable calendar that I have here for you is one of my absolute favorites and I am going to print this one for sure! The basket of flowers that adorn the page is so gorgeous and cheerful! I also love that this January 2019 calendar has a space for you to write in your monthly priorities. Such a beautiful design and practical layout! Next up is in tropical theme with a lovely bunch of flowers. This calendar looks so refreshing! You can print this calendar (and any other calendar design from this set) for your home or office use! Moving on is another bold floral calendar in pink and green. I just love the green background that contrasted beautifully with the beautiful flowers! When I finished designing the calendar, I am reminded of the Kate Spade planners. So beautiful! This January 2019 calendar is going to make a lovely desk calendar. What do you think? The next calendar that I have for you is a really dainty one in bicycle theme. There’s a spot for your notes and reminders at the right section of the calendar for your planning needs. I won’t be surprised if you’ll tell me that this is your favorite design from this set! Loving of a pretty January 2019 calendar? Take a look at this next one I’ve got! I love how the dark background beautifully contrasted with the dainty flowers! If you’re a blogger just like me, use this as your blog editorial calendar as it can spark tons of creativity! 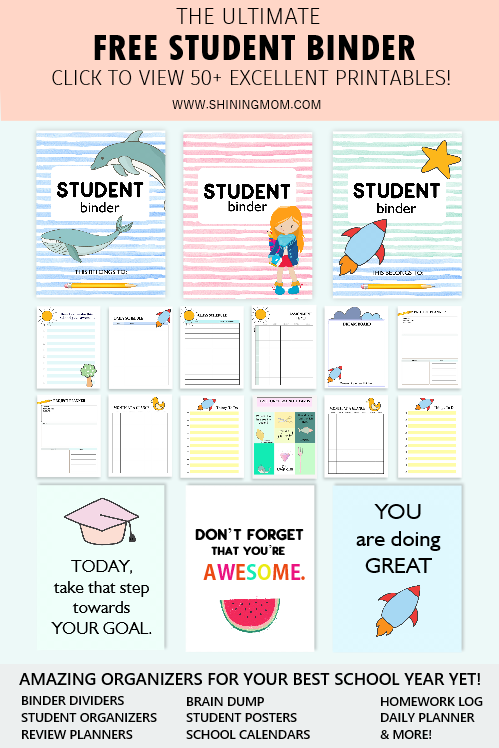 Well of course, I did not forget to share calendars for the kids! Next up are fun, cute and playful calendars. 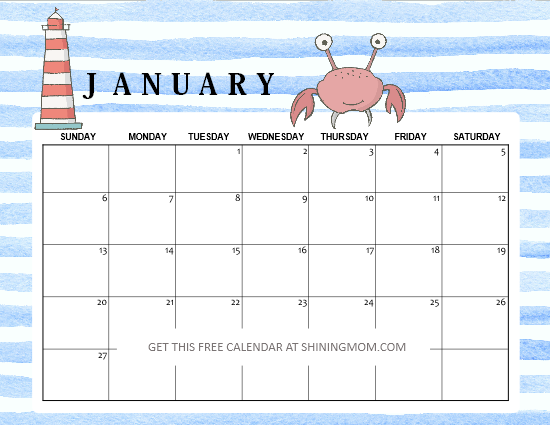 Students and pupils can use these January 2019 printable calendar planners to organize their schedules in school. And yes, you can also use them! Looking for a fun and colorful calendar? You might like to print this next one I’ve got. This calendar is not just for the kids, it’s also for you! This particular calendar is the matches the design of the oh-so-popular Design a Life You Love 2019 Planner that I have previously shared. 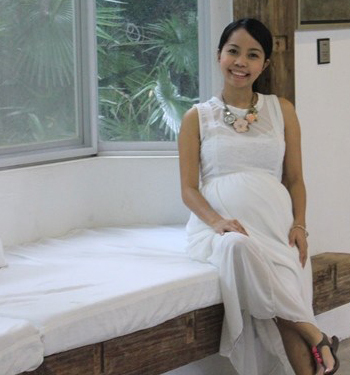 It’s amazingly unbelievable how that planner is trending like crazy on Pinterest these days! Have you seen it? 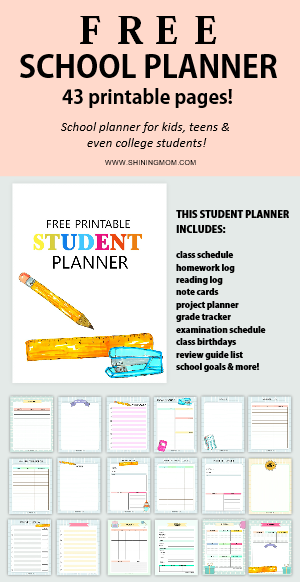 Pop over here to snag the free planner, too! 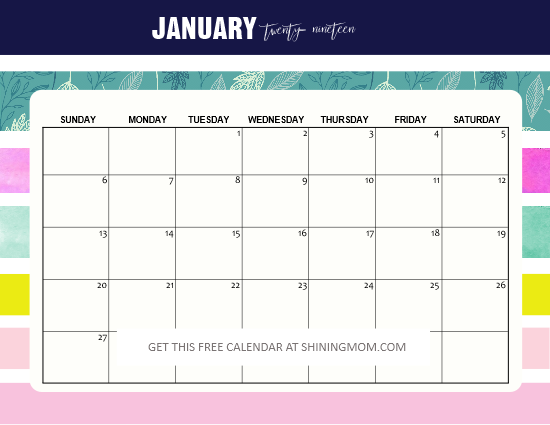 SNAG YOUR FREE JANUARY 2019 PRINTABLE CALENDAR PLANNERS INSTANTLY! Receive your free calendar files instantly in two separate files., the vertical and the horizontal calendars. Download the free horizontal calendars here and the free vertical calendars here. You have 15 designs to choose from. Print as many as you need for personal use only. 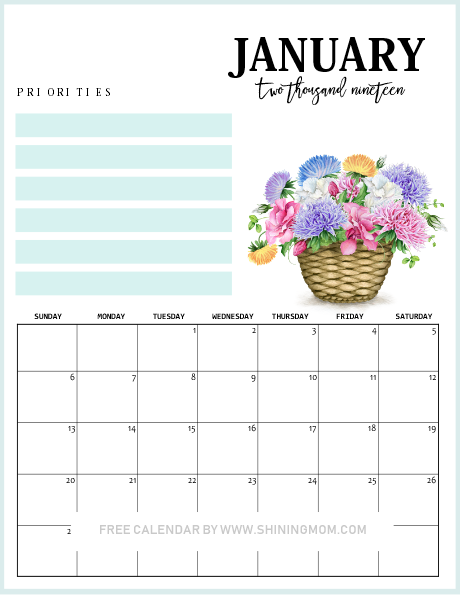 Print the monthly January 2019 calendar free printables in 8.5×11 paper. LOVE THE CALENDARS? 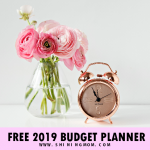 YOU WILL LOVE THE 2019 SUCCESS DESIGNER PLANNER, TOO. 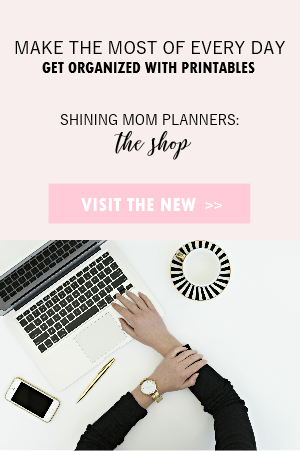 Here’s a sweet announcement before I end this post: Please know that I have released a Shining Mom flagship planner that I believe will be of great help in keeping your year 2019 organized, productive and successful. Check out the 2019 SUCCESS DESIGNER PLANNER. It’s a fully packed goal-setting planner designed to help you plan your 2019 success. 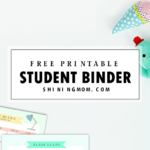 Hop over HERE to snag your copy or learn more about the planner here. Thanks for stopping over to the blog today. 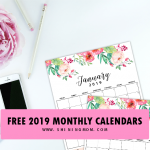 And oh, will you be using these free January 2019 calendar planners? Please let me know at the Comments. I’d love to hear from you! Let’s have an amazing and blessed 2019! Happy New Year! 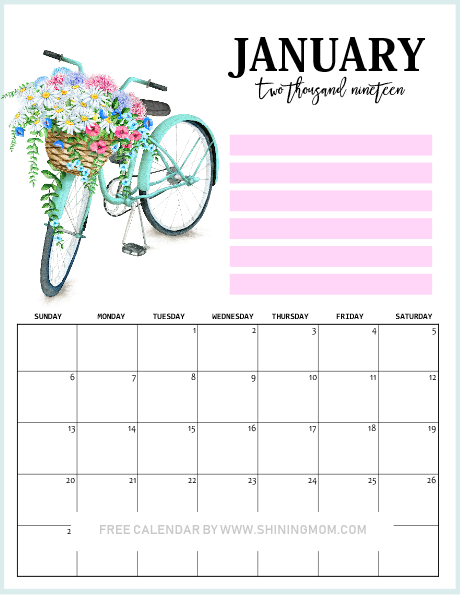 « 2019 Calendar Free Printable: Car-Themed Design with Reminders! These are so fresh and pretty and just gives me the feeling of newness! Thank you for all you do! Happy New Year! Awww, Thank you Liz! Happy New Year! Thank You! Is beautiful! Greetings from Guatemala! Thanks, Jen! Hugs from the Philippines!